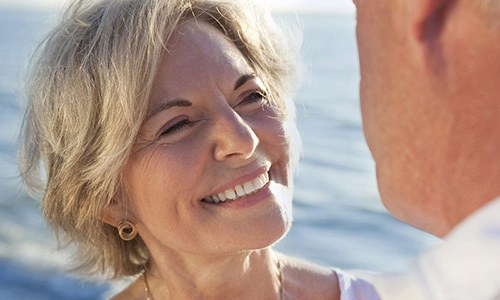 When placed by an expert, so-called instant implants present a safe and painless alternative to the traditional dental implant. We are pioneers in this specialty and, collectively, can look back on 35 years of experience in implant surgery and prosthetics. We have the necessary experience and competence so that you can eat, laugh, and enjoy life as you would normally, as quickly as possible. AREN’T YOU READY TO FINALLY HAVE HEALTHY, FIXED TEETH AGAIN? Even today, many people still face or suffer tooth loss. 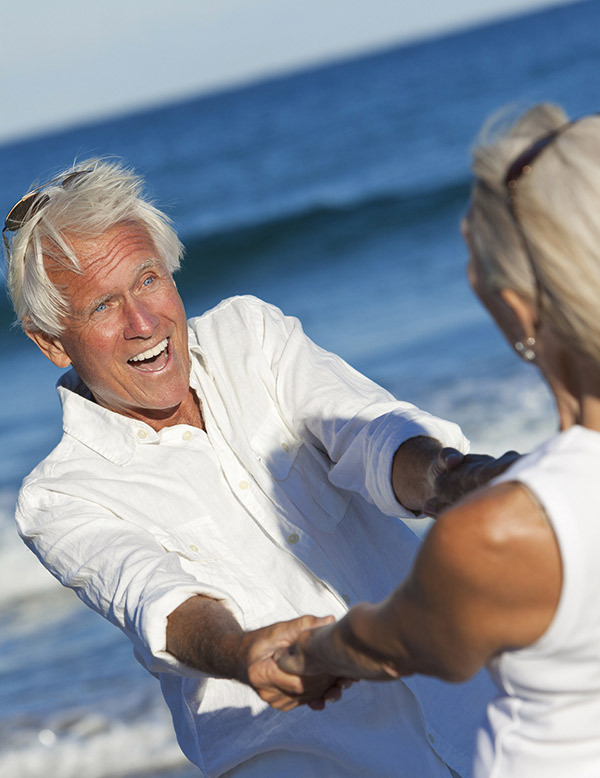 Approximately 25% percent of the population over age 65 is affected. Standard treatment consists of removable prostheses that rest atop the mucosa. Generally, the hold these prostheses provide is unsatisfactory. Gums must be completely covered. Pressure points, reduced taste capability, difficulty speaking or eating, and discomfort in social situations are just a few examples of the consequences of those affected. Today, you no longer have to suffer the difficulties associated with tooth loss listed above! We, as implant specialists who have expertise in both implant surgery as well as implant prosthetics, are able to place 4 dental implants via an uncomplicated surgery and to apply the prepared fixed teeth immediately, all in the same session. These dental implants are placed in certain locations of the jaw in a specific procedure that does not require bone construction. Dental implants specifically designed for this purpose are applied in these cases. Generally, no bone construction is required, which reduces the time of surgery and the associated risks. This method also evidences only minimal pain and swelling. Placing the implants takes only approximately 30-45 minutes; immediately following, the tooth replacement, which has already been prepared, is screwed onto the implants. The total time for this treatment option is generally about 2 hours. The placement of only 4 implants saves time and costs, and is therefore an attractive solution. The methodology has been scientifically documented, and patient results confirm the appropriateness of this treatment plan. But the placement of only 4 implants is not always sufficient. Depending on the patient’s existing anatomy, the placement of a total of 6 or, in some rare cases, even more implants is necessary. A three-dimensional x-ray examination is a requirement for the diagnosis and planning of this treatment option. Talk to us if this special method also works for you. Finally healthy stable teeth is the first step for better quality of life, so you feel, look and eat better!